I don't want to jump the gun here, but I think the Oerth Journal ezine needs a friendly promotional nudge in order to get them to release their newest issue. Recently I was given a proof copy of the 26th issue and liking what I saw, I contributed comic to it (I think my last one was in issue #23). The theme for this issue as mentioned in the official Oerth Journal blog, is "Beyond the Flanaess." I think you'll all dig this issue when it comes out as it covers some exotic locations only hinted at in canon or novels, but are built upon in such a way that DMs can take the maps, monsters and hooks and run with it without mussing up their own campaigns. I'll keep my eye out and update everyone when #26 is ready for download. Oh, and if anyone is interested in contributing to the OJ, click on the link above to the OJ blog for information. Later. A "dolmen" is a single-chambered tomb, usually composed of three -- or more -- large upright stones, supporting a flat capstone. This was usually covered with earth so as to create a barrow mound. So, technically, Artur’s Dolmen should be "Artur’s Barrow," but I must play the hand that Gygax dealt me. This is the brief mention -- in the 1st edition DMG, p. 164 -- which list "crushing" an artifact against Artur’s Dolmen as a suggested way of destroying it. If you need a destination for an epic artifact quest the Dolmen of Artur might be for you. Enjoy! There's a new article over at Canonfire.com by frequent contributor (and avid Greyhawkery reader) Argon, entitled Fighter Kits and Class Options Part 1. Argon has alot of new writings in store for Greyhawk fans and this is his latest effort, bringing his own spin on some classic warrior types for campaigns (3.5/Pathfinder) in the World of Greyhawk. Enjoy! "In this treatise, you are presented with some new fighter kits and alternative fighter classes: The Rhennee Darkhagards, the Sheldomar Swordsman, the Myrmidon and the Swashbuckler." "Aalas -- Son of Agnure of Hommlet -- begins to lead his company away from the Fane of Tiamat, but he quickly realizes that he has little choice but to return to the Fane in an attempt to free his imprisoned step-father." 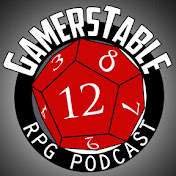 New from the Greyhawk fansite, Canonfire! is an action packed fiction series created by Flint. This is not Flint's first contribution to Canonfire!, but it does follow his knack for serialized adventure narratives. In the first part of Return of the Spider Queen, we follow Aalas and company as they find trouble in the form of some quite vindictive dragons and some hobgoblins drop by as well. Why not? Read and enjoy! I'm feeling slow this week so I'm bringing out an unfinished map to an unfinished project of mine to show everyone. One of my favorite things about the World of Greyhawk is discussing obscure references and trying to piece together maps in order to recreate the cultures that preceded those seen in the starting timeline of the setting (generally 576 CY). Based on my research this is what the central Flanaess looked like during the ancient Flan kingdoms of Sulm, Itar and part of Ahlissa. For those unfamiliar, these fertile realms existed in the setting's timeline thousands of years before the founding of the City of Greyhawk and before the adjacent region was changed into the Bright Desert by a malevolent curse. See the book Rary the Traitor for more info on that. I can't say what I need this map for right now, but in the meantime comments or additions would be appreciated, so that maybe I'll finish it someday. Or even better, if someone else has been working on similar ancient Flan maps then hey, you're my new friend! Have a good day and don't forget to also download Wonders of Ull: Oldskool Edition! As previously reported, long time Greyhawk fan and co-conspirator, Braggi has been working on a monster 1e/2e conversion of my anthology of editionless Ull articles, titled aptly Wonders of Ull Oldskool Edition. I may be biased, but this PDF document is top-notch in my opinion. 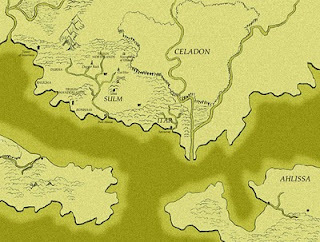 Not only does it pull together years worth of Ull gazetteer entries, monsters, magic, NPCs and adventure hooks, it also includes an all new old school hex map of the Ull region created by Braggi. In short Wonders of Ull Oldskool Edition contains everything you need to run a full campaign in this rugged unforgiving land (pre-Greyhawk Wars no less). Ah, but that's not all! 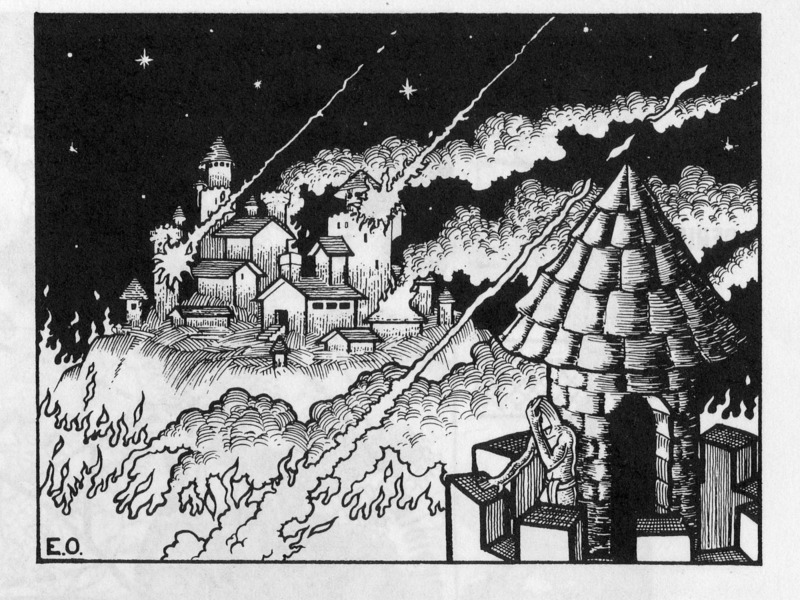 Braggi has also provided bonus material, "reclaiming" the generic AD&D module I9: Day of Al'Akbar so that it works in the Baklunish West. Make no mistake, whatever edition you play, the gritty information in this document will be useful to any GM looking to spice up their World of Greyhawk game with an exotic Baklunish theme. Enjoy! The demi-goddess of cartographers, Anna Meyer has posted a new section of her ongoing Atlas of the Flanaess. 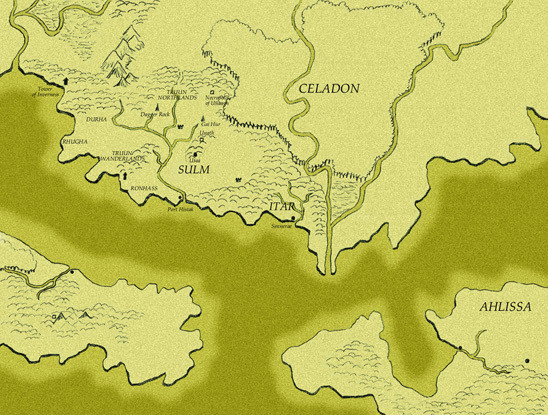 This region depicts part of the Kingdom of Ahlissa, formerly southwestern part of the Great Kingdom of Aerdy. Download this new section and the others on the home page to enjoy the amazingly nuanced mastery of Anna's maps. The Baklunish-Suloise Wars and the resulting mutually assured destruction is the backdrop conflict that sets up the World of Greyhawk setting. Not surprisingly, outside the timeline by Gygax there hasn't been much written officially about this war itself which raged from 5031 S.D. to 5094 S.D. (Suel Dating) although the Twin Cataclysms (the Invoked Devastation and the Rain of Colorless Fire) and the Great Migrations preceeding them do get most of the attention when concerning ancient Flanaess history. It is noteworthy that this fictional apocalyptic account was surely born out of our cultural fears during the Cold War. Interestingly, over thirty years later, new allusions could be made about the Baklunish-Suloise Wars in comparison to today's current events. But I won't dwell on that today. Here is a link to one of my all-time favorite forum discussions on the War. There you'll find loads of information about the War, including speculation that the Baklunish Empire was on the verge of winning. One rare source about the war published back in 2005, is Creighton Broadhurst and Paul Looby's mysterious ancient battlefield, The Fields of Padyr for the Living Greyhawk Campaign. For additional flavor, check out the article on ancient Baklunish Armies by Ed Healy in Oerth Journal #22 (illustrated by yours truly). Suel Empire's fall like Erol Otus. 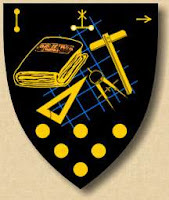 For those who know my writing resume or have seen my articles section on Greyhawkery, I am the mad scribe of Ull whose mania for developing that smudge of land far exceeds any who came before. After these long years, a brave soul named Braggi has finally stepped forward to adapt my generally editionless articles into useful statted entries for use with 1st/2nd edition AD&D. I know Braggi through Canonfire! and Greychat, and others may remember him from Harvester's Heroes and elsewhere. I am honored that he is working with my material for his own campaign initially and hopefully for the community at large. So far what I've seen he is making a masterful document based on the anthology Wonders of Ull and the Ull Gazetteer. Braggi has certainly piqued my interest to do more Ull work. I have an unpublished Ulakand Gaz to put out there and with any luck I might even do the Kester Gaz someday. Until then, here is a sneak preview of a couple Ull magic items, one by me and another new one by Braggi that fits perfectly with the Ull theme. Enjoy! - A bodyguard, moments before his master puts on the robe for the first time. This vile robe was created by an evil devotee of the Dark Rider. While he is said to have perished decades ago, the robe still remains somewhere in the vicinity of Ull. It has been blamed for the deaths of many hapless souls and is even listed by Rary of the Circle of Eight as a profane item that should be destroyed on sight. The robe of Incabulous nonetheless has changed hands many times and has proved worth the risk to possess. Writings relate that it is a typical hooded robe, charcoal grey in color with frayed edges. It appears in every respect to be a robe of eyes when identified, but its latent powers cannot be unlocked until it is donned by its owner for the first (and possibly last) time. After putting on the robe, the wearer is afflicted with a fast acting magical disease, which may not be cured save by a wish spell or the intervention of an artifact or relic of great healing power. Furthermore, the robe cannot possibly be removed during the initial stages of the disease, which onlookers have described as a disturbing nightmarish sleep-state where the wearer screams, thrashes and manifests bodily sores. If the wearer manages to live through the initial trials inflicted by the robe, he or she awakens fully healthy, albeit mentally weakened (permanent -1 to saving throws versus mind-influencing spells and effects) and is thereafter free to remove and put the robe back on without further risk. In addition to powers of a robe of eyes it is said the successful wearer of the robe of Incabulous is also granted immunity to all diseases and poisons, a property that many in Ull (or beyond) would and have killed for. This thick, dark-grey unguent is composed of powdered herbs and roots suspended in a goat’s fat base. When applied to a wound the salve has both healing and astringent properties. The salve will restore hit points at a rate of 1d4+1 per application. Two applications of the unguent have a powerful astringent property, allowing bleeding wounds to close (c.f. sword of sharpness) in addition to its healing properties. 1d6 applications of the salve will be found in small, goatskin-wrapped clay containers. Due to the tendency of the goats fat to curdle, Uli salve is not highly sought after outside of Ull since it tends to have a terrible stench. Amongst the Uli, the salve is used as a cure-all. One of my occasional hobbies is to collect old paperback pulp fantasy novels from bookstores, conventions and library sales. There is many books and authors I'm sure I could reading right now and all of them could easily be had on any online site, but that's not part of my experience. I'm old school. I like discovering them. It's like a quest. Anyhow this post isn't about that, it's about what else I discovered. A crummy commercial? Sonofabitch! Like I said, I don't own every dime-store novel out there, so this is a new thing for me. I'd like to know if it was common for paperbacks back in the late 70's to have full page cigarette ads in the middle, or was this just Ace Books? It seems outrageous in today's culture, but back then I'm sure these ads were all over the place. 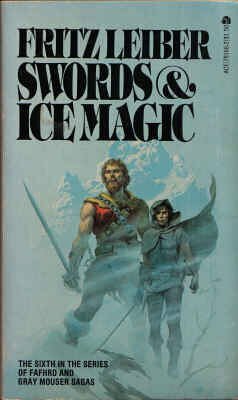 I just don't recall them ever being in my fantasy books and certainly not in any RPG publications. I could be wrong though. There has to be a joke about this pic by the way. Slick 70's moustache dude, Farrah Fawcett looking woman, a longbow, alive with pleasure. Hmm I got nothing. What a distraction. What was I reading again?